Fredon Technology was the audiovisual integrator, led by Director, Nick Orsatti. Being on the front line, installing and commissioning the audiovisual, more than anyone it was Nick and his team who became intimately acquainted with the advantages of Q-SYS. Shure MX wireless is utilised in the meeting rooms. MX and Q-SYS have Dante capability, with analogue outputs from the MX receivers feeding into Q-SYS inputs that feed into QLAN. 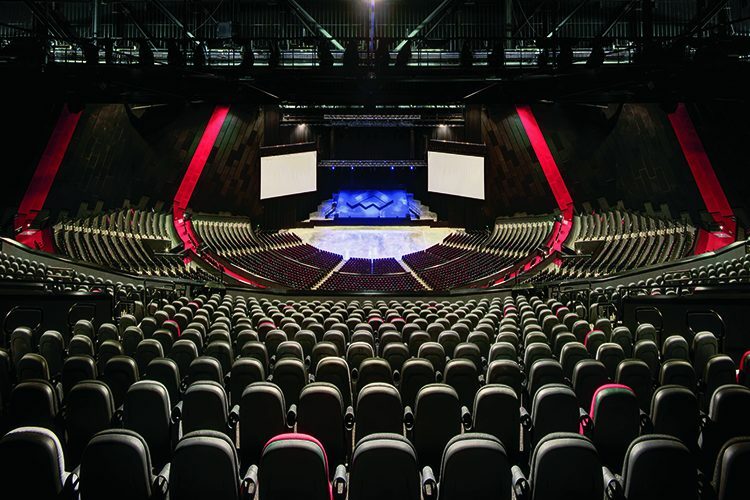 The horsepower of a single Q-SYS core – its single I/O count and processing speed – is unbeatable in a venue this large. The processing grunt has meant Q-SYS can take care of the the meeting room conferencing as well. The original brief from the State mandated the need for VC in every meeting room, which means we need echo cancellation in every meeting room. 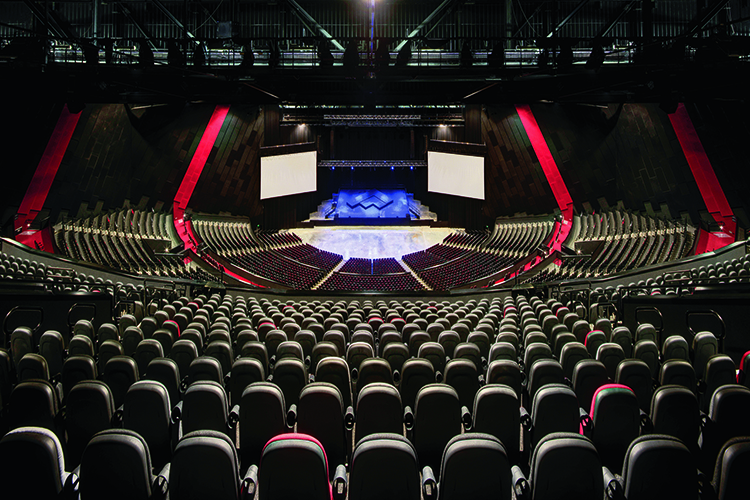 The big winners out of ICC Sydney are d&b audiotechnik, with large quantities of V and T Series loudspeakers systems in the theatres; Crestron, with all the HDBaseT video switching via DM frames; Pansonic projection; ACA Cotag Media that runs the ‘smart building’ aspects of ICC Sydney; Shure, with its new MX wireless; DiGiCo consoles; and Jands, which took care of all the staging, lighting, rigging, drapery, and lighting control. But arguably the real star of ICC Sydney audiovisual show is QSC. The level of detail in the specifications meant if the integrator proposed the use of an equivalent product they would have to remodel everything from scratch. The selection process was detailed and exhaustive. Every product was selected with a number of factors in mind – performance, aesthetics, EASE date, budget, and single vendor risk mitigation – and it was all decided on early in the piece. Demolishing SCEC and starting again was a brave move. The brand new ICC Sydney had to be demonstrably superior to SCEC and indeed to any of the alternatives in Australia. MCEC won’t be panicking; it’s booked out for years to come. But being booked out isn’t necessarily the main game, it’s attracting the super-primo events. 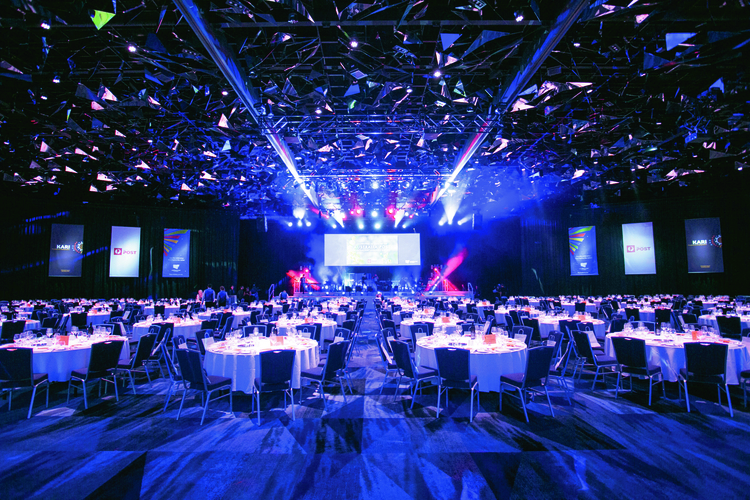 It’s the Bill Clinton keynote, the world congress of anaesthetists, the international launch of the next Tesla luxury coupe… The cachet of staging Australia’s highest profile events and concerts is significant. audiovisual has never been more crucial to the success of event production. Being seen and heard is obviously the baseline requirement, but now it’s just as important to ensure that the event buzz ripples through cyberspace. 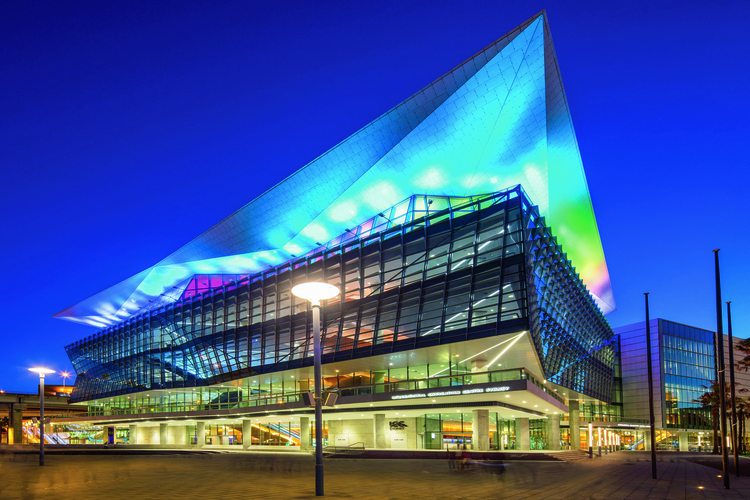 ICC Sydney showcases the audiovisual state of the art. It’s a posterboy for making good on the ‘convergence promise’. Fascinatingly, convergence didn’t require a blindfolded step off the cliff in faith, nor did it see a bunch of traditional audiovisual roles being fulfilled by IT professionals with no deep knowledge of audiovisual. Success is reliant on product vendors who understand ICT constraints and ensure their product suite works within that framework, and system specifiers and integrators that share the same deep knowledge of both audiovisual and IT, and have the knowledge and experience to design and implement them to meet the client’s requirements. A truly landmark project provides an audiovisual milestone – a yardstick for the industry. In 2017, ICC Sydney is that audiovisual monument.